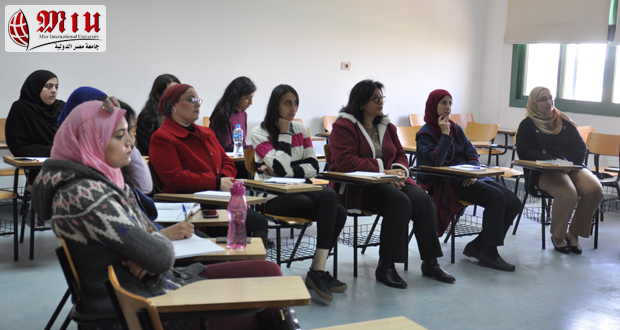 Dr. Rania Al-Sabbagh, Faculty of Al Alsun at Ain Shams University, delivered a lecture on Corpus Linguistics to the MIU Faculty of Al-Alsun and Mass Communication on December 12. 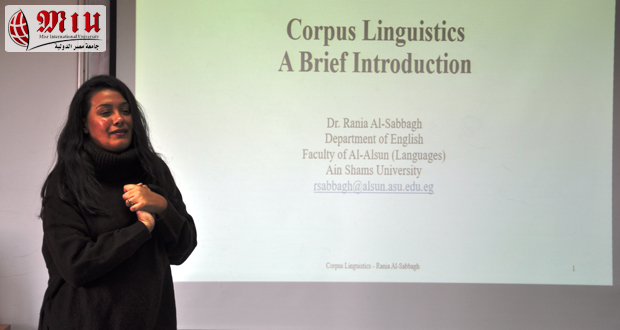 Al-Sabbagh gave attendees background information on the Corpus Linguistics technique of study in addition to Corpora, the software tool used with this technique. She made a reference to the different types of corpus such as the Corpus of Contemporary American English (COCA).